Born July 29, 1952 in Tel-Aviv, Israel. 1971-1977, Tel-Aviv University Sackler School of Medicine. 1977 to 1978, Rotating Internship at the Sheba Medical Center, Tel Aviv University Sackler School of Medicine. November 1978 to January 1982, Military Service Period. Medical Officer. 1982 to 1984, Resident, Department of Medicine, Sheba Medical Center, Tel Aviv University Sackler School of Medicine, Israel. 1985 to 1986, Nephrology (Internal Medicine) Residency, Sheba Medical Center, Tel Aviv University Sackler School of Medicine Israel. 1986 to 1987 Military Duty. 1987 to 1989 Senior Nephrologist, Sheba Medical Center, Israel. 1988, Appointed Instructor in Medicine (equivalent to Assistant Professor) at the Tel Aviv University Sackler School of Medicine. 1989 to 1991 Post Doctoral Research Nephrology Fellow at Stanford University School of Medicine, Stanford California. June 1989 - Board Certified in Nephrology Diploma by the Professional Committee of the Israel Medical Association Scientific Council (equivalent to American Board of Nephrology). 1991 to 1992 Clinical Fellow at at Stanford University School of Medicine, Stanford California. 1993 Senior Nephrology Fellow at Stanford University School of Medicine. 1993 to 1995, Senior Nephrologist at the Sheba Medical Center Tel Aviv University Medical School on Tenureship. 1995 to 1998 Nephrologist in a priate Nephrology group in Los Angeles. American Society of Nephrology (ASN). International Society of Nephrology (ISN). Tel Aviv University Alumni Association. American Heart Association, Council of Kidney in Cardiovascular Disease. 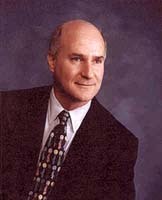 CEO and President, Pagiel Shecher, M.D., Inc., a full range Internal Medicine and Nephrology office. CEO and President of Intensive Renal Care, Inc., an Acute Dialysis Service for inpatients. President of Intensive Renal Care, Inc., a chronic hemodialysis unit on 5901 W. Olympic Blvd., Los Angeles CA 90036. A state-of-the-art hemodialysis unit.When Dr. Pagiel Shechter established Intensive Renal Care in 2001, he wanted to create a new concept in the private freestanding chronic dialysis industry. During the last decades, the chronic dialysis units have been suffering from heavy cuts in their quality of services, dictated by tight reimbursement constraints, imposed by Medicare and Medicaid. Unfortunately this lead to the development of some bad habits such as understaffing, cutting corners in techniques such as the reuse, cutting dialysis times and hiring under trained personnel. Another negative trend was the acquisition of most of the freestanding units by huge national conglomerates. The latter lead to total loss of the sensitivity to patients needs, development of rigid centrally imposed corporate protocols, and total loss of the significance of the Nephrologist in the sensitive decision making process of caring for patients with end-stage renal disease. Our purpose is to restore all the lost good qualities of privately owned dialysis treatment without compromise in the standards of care. We underwent a painstaking process in our evolution in order to reach this goal. But the end result is thrilling.Our patients are happy and loyal. We carry over our enthusiastic approach to our acute team, who serve inpatients. We deliver the same message of combining the best technologies with humanistic, caring and responsible service.We encourage all patients and their Nephrologists to try us.Another significant approach was the emphasis on smaller size unit, in order to restore patients comfort and warm feeling. We are opposed to the concept of putting patients in huge warehouse-like structures, where patients identity is lost.We have no doubt that our efforts will bear fruits, leading other units to adopt our concepts, of restoring the good qualities of patient care in dialysis.Dialysis Unit in Los Angeles Dear Agent For Patients/Clients who plan to visit the Los Angeles Area, we offer a Caring, Friendly and Professional dialysis center located in Los Angeles. We offer transportation from home, hotel or the airport. or arrangement and further information please visit us at www.intensiverenalcare.com, kidney, Failure, Hemodialysis, Nephrology, hos[pital, ultrafiltration, end stage renal failure.